All proceeds directly support KMUW. KMUW's Literary Feast is a book club for public radio listeners. Participants take part in a group book discussion of books selected by KMUW's Lu Anne Stephens, Beth Golay, and Sarah Jane Crespo. The discussion is led by Lu Anne, Beth, and Sarah Jane. Dinner is generously provided by Public at the Brickyard. 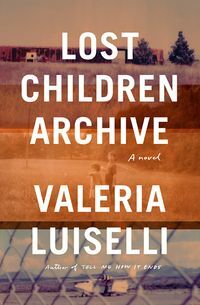 The March selection is Lost Children Archive by Valeria Luiselli. Tickets are $10 each and space is limited. Click the ticket link above to reserve your spot. We're excited to offer free registration to first-time Literary Feast participants. If this will be your first time attending, please email Haley Crowson at hcrowson@kmuw.org to receive a promo code for your free registration.